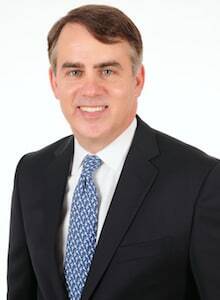 Stewart A. McMillan is a former New York State Prosecutor duly licensed to practice criminal defense in New York and Connecticut since 1995 and 1996, respectively. Although, Mr. McMillan's principal office is located in Larchmont, New York in Westchester County, he also has branch offices in New York City and Connecticut. If you have been charged with a crime - Mr. McMillan is a Westchester County DWI defense lawyer experienced in fighting for your rights and reducing or eliminating the possibility of serious or long lasting penalties. Mr. McMillan's criminal defense law practice is focused on defending drivers or motorists charged with driving related offenses, including DWI or DUI, and civil forfeiture of your car for DWI/DUI, traffic tickets - including especially speeding tickets, driver's license suspensions of revocations, overweight and improper permitting charges for truck drivers or those with a CDL license, and charges for "possession" within a car or motor vehicle, including for drugs or weapons (including especially a gun or a knife), as well as criminal appeals. Over the years, Mr. McMillan has appeared as a lawyer for the above crimes and traffic tickets, and others, and experienced success in many of the local courts located in the towns of Bedford, Bronxville, Cortlandt Manor, Harrison, Greenburgh. Due to the fact his principle place of business is in Larchmont NY, Westchester County, Attorney Mccmillan is familiar with local courts in The Town of Mamaroneck, New Castle, The City of New Rochelle, Pelham, Peekskill and a host of others - Mr. McMillan also knows and has worked (either with or against) many of the police, state troopers and prosecutors who have charged you in The City of Rye, Scarsdale, Tarrytown, The City of White Plains, Yonkers, Yorktown Heights- as well as the judges who will sit in judgment over you in courts in Orange County, Putnam County, Dutchess County to name a few. Should you elect to accept a plea deal, Mr. McMillan will use his knowledge of the police, judges and prosecutors to extract the most favorable plea possible under the circumstances. In addition, due to his familiarity and prior appearances in the Westchester County Courts, Mr. McMillan has often appeared in front of the Judges in the adjoining counties - including the New York City Boroughs - especially Manhattan, the Bronx and Queens and on the Long Island -Nassau County and Suffolk County. From the first time he conferences your case with you, Mr. McMillan's sole objective will be to work with you to obtain a dismissal of the case (if possible) or a reduction of the charge to one that will have the least impact on your life. For example, for a driver charged with a speeding ticket (whether based on radar, laser or observation) or traffic ticket, this could mean preventing the possibility of an automatic suspension (for 11 or more points or for 3 speeding ticket convictions within an eighteen (18) month period); or preventing your insurance rates from being raised. For those drivers charged with a more serious crime, like DWI or DUI (or "drunk driving"), it could mean helping prevent the possibility of jail sentences (in some serious cases) or (in less serious cases) seeing to it that the driver's license is restored faster. Mr. McMillan has also been successful in the past in reducing and/or eliminating the possibility of his clients facing an extensive jail or prison or probation term. Mr. McMillan has defended those charged or accused of, without limitation, the following motor vehicle or driving related crimes or offenses including DWI / DUI, DWAI, DWI Refusal (Including DMV Refusal Hearings), Speeding Tickets (Based Upon Laser Detection or Radar Detection or Based Upon Police Observation), Motions to Vacate a Guilty Plea, Felony DWI, DWI or DUI under 21 years of age, Driving with a Suspended or Revoked Driver's License (AUO), Reckless Driving, NYS vehicle forfeiture (asset seizure of your car for DWI/DUI convictions), Tailgating (or "Following Too Closely"), Hit and Run (or "Leaving the Scene of an Accident"), Speed Contest (or "Drag Racing"). McMillan is a Westchester County DWI defense attorney with a reputation for helping the accused or those charged with a crime. He is an attorney who understands all of the nuances of motor vehicle related offenses - including, speeding tickets, DWI, Overweight Trucks or the possession of drugs in an automobile to name just a few. He will work with you to present the best defense possible for your car. Please call our office at 914-358-4326 and/or contact us online for a free telephone consultation regarding your pending New York State traffic ticket, speeding ticket, DWI or DUI or other misdemeanor, or felony cases.